Which Rod to Buy for Float Fishing and Spinning? Home > Ask Our Experts > Which Rod to Buy for Float Fishing and Spinning? I am wanting to go fishing in the lochs near to where I live and I have a 7 foot telespoic rod. But I am looking to buy a new 2 piece rod. I want to do float fishing and also spinning. Can you recommend what kind of rod I should get as I am new to fishing? Any tips or information you can give me on fishing for trout in lochs would be helpful because when I look on the internet it's always about fly fishing, coarse or sea fishing. I have been looking at rods online and they are either fly or rods for carp fishing which I am not sure will be suitable. As you’ve already spotted, there’s a few different types of rod to pick from, and what you need really is defined by what kind of fishing you intend to do. Although you can try to catch any fish, with any rod – and sometimes you’ll be successful – to stand the best chance, just like doing anything else, you need the right tool for the job. To put it another way, you’d hardly use the same hammer to frame a picture as you would to knock down a wall – well, not and expect it to work! Bottom line is, if you want to do both float and lure fishing, you’re going to have to buy two rods – but a good rod should last a lifetime, if you chose wisely. You say you’ve been looking at rods online and it’s a pretty good place to start to get an idea of what’s available. However, excellent though these Internet shopping sources are, they will always lose out over traditional tackle shops in one important way – good, old-fashioned, face-to-face advice (and no, I don’t run one, before you ask!). Whatever else you do, I strongly suggest that you pay a visit to your nearest supplier – and I live in Scotland too, so I do understand that there aren’t three on every High Street – but even if you have to travel a few miles, it will repay the effort. Ask around your angling friends to make sure you go somewhere that the proprietor knows what she/he is on about and get some expert help. Not only can you get to see and handle some of the rods for yourself rather than relying on photos and reviews, but you’ll also be able to pick the brains of someone who has loads of experience of local conditions, which can be invaluable to anyone – and doubly so if you’re fairly new to angling. The same advice holds true for discovering the best way to fish waters in your area – talk to the tackle shop owner; that way any tips you get should be ones that work well in your specific location. He or she will also be best placed to keep you on the right side of any particular rules or legislation that apply in your particular fishery region. 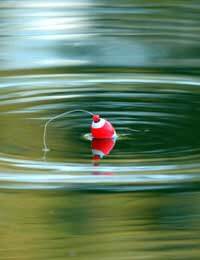 For more general information and suggestions about the likes of bait-fishing and spinning, there’s a good page on catching trout in the “Catching Fish” section of this website to get you started planning your next trip down to the loch. Best of luck – and enjoy your fishing! Is Fishing From a Road Bridge Over a River Legal?